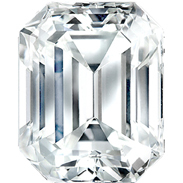 Cushion cut diamonds, also referred to as "pillow-cut" diamonds, were the most popular shape over a century ago. 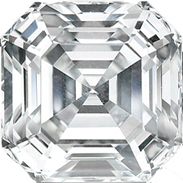 The cushion-cut is an antique style of cut, and it is known for having a deep cut with large facets. 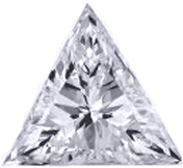 These large facets are what bring out the sparkle and brilliance when the diamond is exposed to light. 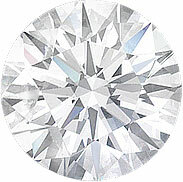 If you were to compare cushion cut diamonds to other shapes, they would be most similar to oval cut diamonds. They have rounded corners and can vary in their overall width and length. For the most pleasing effect, look for a length-to-width ration between 1.1 and 1.2. 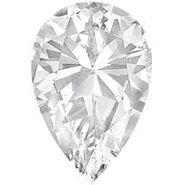 The radiance that comes from the cushion cut is dependant on the cut of the stone, as well as the color and clarity. 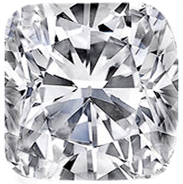 Keep in mind that a bigger carat weight does not necessarily mean a better diamond. 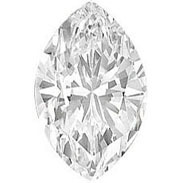 The larger facets of cushion cut diamonds means that the clarity is highlighted, which makes it especially important that you choose a diamond that has been graded as having good clarity. 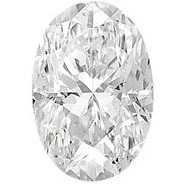 Otherwise, your diamond will not be able to reflect light well and it will appear dull and opaque. 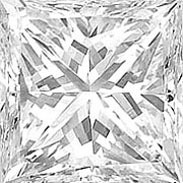 If you are looking for cushion cut diamonds, MDC Diamonds allows you to inspect the diamond in person before buying. This is tremendously helpful because it gives you the opportunity to actually see for your own eyes if you find this type of cut appealing, or if you would prefer something else. 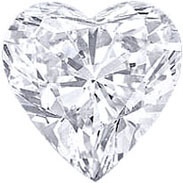 Remember, when you purchase your certified diamonds through MDC Diamonds, you are making a completely risk-free investment. 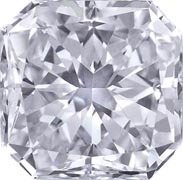 If you decide you do not want the diamond within 30 days of receiving the purchase, simply return it with it's original papers, for a full refund, no questions asked.